Welcome to the friendly and quiet streets of Quinn’s Pointe. 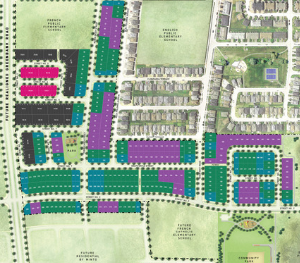 Get ready to join your neighbours in the next stage of Quinn’s Pointe, now on sale. 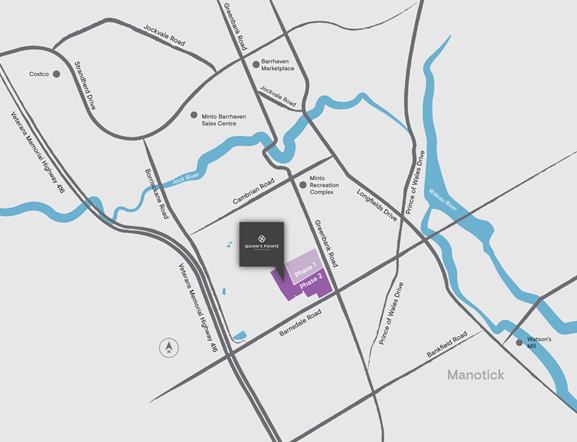 Your favourite Single Family Home and Townhome designs, plus new designs, are joining the existing community bringing you close to the park, a network of walking paths, and easy access to the surrounding retail, dining, and recreational amenities. Single Family Homes and Townhomes for sale. Find your new home in Barrhaven South. 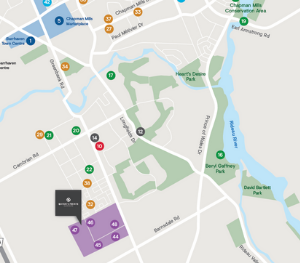 Find the amenities you need in Barrhaven, all within a stone's throw from Quinn's Pointe. You'll know you're in Quinn's Pointe in Barrhaven when you step into the park. The Quinn's Pointe logo has been incorporated into the park for a unique sense of community. These elements connect the park from the entrance feature to the bike racks to benches, and more. The natural land elevation was maintained to create a dynamic park with a tobogganing hill. There are plenty of recreational elements to the Quinn's Pointe park including, play structures, a tennis court, gaming tables — for chess and checkers — and shade shelters and a splash pad for the summer months. There is something for all ages!